A quick post to let you know that my publisher is giving away copies of Casualties over on Goodreads. The giveaway begins today and runs right up to the launch on Groundhog Day, February 2. Here’s the link! 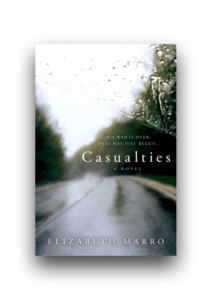 Elizabeth Marro is the author of the novel, Casualties, the story of a defense executive who loses her son just when she thought he was safely home from war. Now, she must face the painful truth about her past, her choices, the war, and her son.